So I have jumped off the trail earlier than I had expected to in order to surprise some of my family and visit others before they move out of the Northeast. I got off of the train in Harpers Ferry after reaching the 1023 mile mark on the trail. Given what I’ve skipped this means I’ve walked a little over 650 miles since leaving Springer Mountain in Georgia on June 7th. One of the things I’ve been noticing about being at the trail is the fact that life is so much slower on the trail. The days are longer, and things are much quieter than in the default world. One real sign of this is that at night in camp listening to my mp3 I have the volume almost all of the way down. While listening to my mp3 on the train I had the volume almost maxed out. So as such, you get used to fewer people, less noise and a general slower pace of life. This was never as apparent as it was this last Thursday. I took the train from Harpers Ferry after getting off the trail. Since the train was over three hours late, apparently normal for this train, my connection at Union Station in DC was about 15 minutes which meant going from one train straight to the next. So essentially I went from the forest, through the museum like calm of Harpers Ferry to pop up at Penn Station, in front of Madison Square Garden, a half an hour before the Rangers were playing the Lightning in Game 7 of their series. WOW! A new definition of culture shock for me. 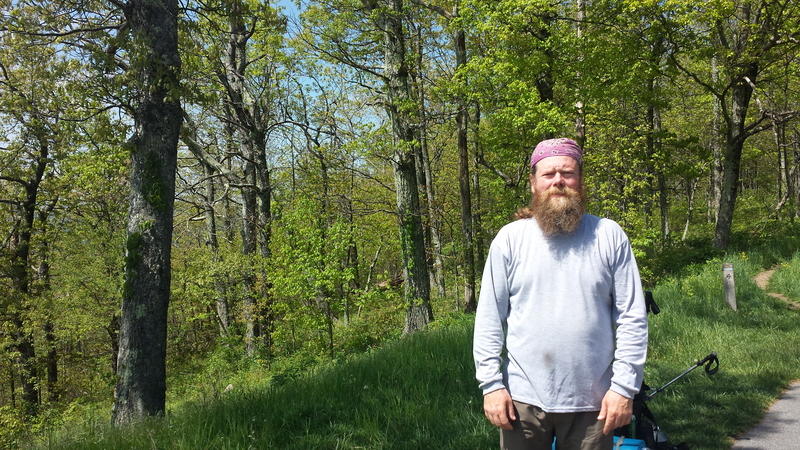 This entry was posted in Appalachian Trail (AT) Happiness and tagged adventure, appalachian trail, backpacking, nyc, peace, personal happiness, rangers, serenity. Bookmark the permalink.